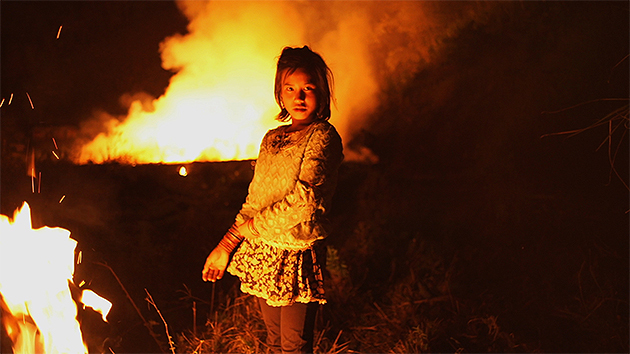 Director Wang Bing brings his careful eye to the mountainous border-region of northeastern Myanmar in Ta’ang, a powerful and revealing observational documentary that follows members of the Ta’ang minority as they flee to China to escape an ongoing and escalating civil war. In a pair of refugee camps, those displaced by the war attempt to create reasonably safe living conditions, while others go deeper into China where they may find work in sugarcane fields or try their luck in urban areas. Meanwhile, those still in Myanmar must journey across the mountains, belongings and livestock in tow, as the sounds of gunfire and artillery echo around them. Ta’ang captures the constant insecurity, instability and disorientation that come with life as a refugee, the complexities of the choices the Ta’ang face, and the emotional toll they take.